Resource guarding takes on a variety of stages ranging from subtle behaviors to serious displays of aggression, so it is important you correct this issue before it gets out of hand. Note: Resource guarding behavior is NOT the same as being protective! 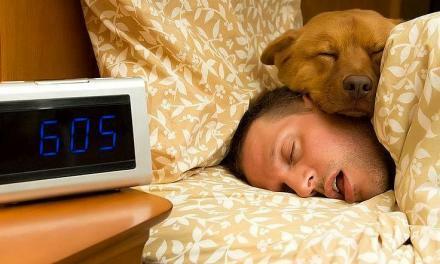 Although this behavior is common among dogs, it is still unacceptable. To prevent resource guarding before it becomes too serious, stay diligent in correcting any territorial behavior and make sure to keep working on foundation. This will teach your dog manners and respect around you, other people, and other dogs. Practice basic obedience around high value rewards, and ONLY reward your dog with his food, toys, or treats when he/she does what you ask. Do not leave toys or food around the house. 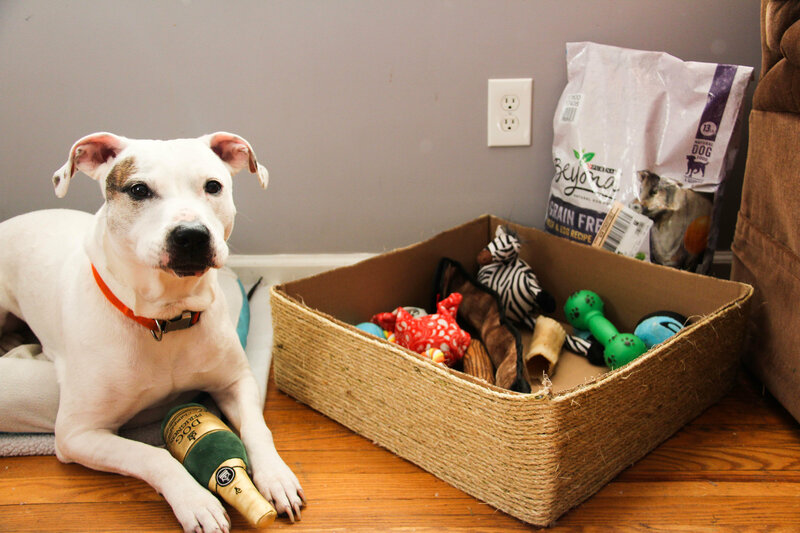 Your dog should only get these things when you give them to him! Build up your dog’s confidence. Doing a lot of exciting and positive things with your dog will strengthen the trust he has in you and decrease resource guarding tendencies. 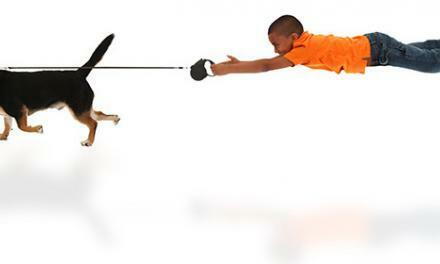 Distract your dog with food or another treat. Be careful not to reward him for territorial behavior. The treat should be used for a distraction only as payment for good behavior. Practice the “Do Something, Get Something” tradeoff, where your dog learns that he must do something good in order to get what he wants. 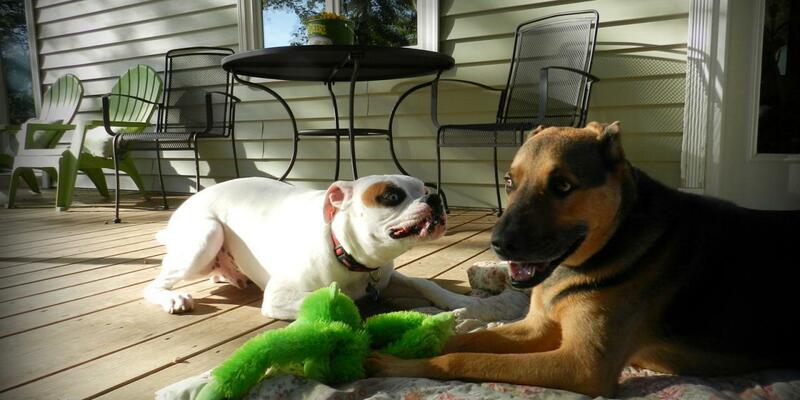 Instead of allowing your dog to develop resource guarding habits, prevent them from establishing themselves. Training dogs for resource guarding when they are puppies is the most efficient way to prevent the behavior from developing later. If you begin to notice resource guarding in a mature dog, you know it is time to buckle down on more foundational obedience training. Make sure to do extra obedience in the specific locations your dog resource guards. Running your dog, playing fetch, going for a hike, or doing any activity together is another method of redirecting your dog’s energy away from possessive behavior to something more constructive and positive. For example, if your dog resource guards his food, try feeding him in a different area to disassociate a physical space to the unwanted behavior. If your dog guards toys, change the toys out. Or change the location where your dog is allowed to play. Constantly evaluate the results and adjust your approach accordingly. Controlling resource guarding behavior around groups of dogs is far trickier than controlling the behavior around humans. This is because, among dogs, directing aggressive signals to discourage access to specific resources is instinctual to maintaining control. If Dog A growls at Dog B for approaching a bone he considers to be his, and Dog B backs away from the bone, Dog A was rewarded for his possessive aggression and learns that it was an effective way to guard his bone. If Dog A lunges at Dog B for laying in an area of the house that Dog A considers to be his, and Dog B becomes afraid of that area, Dog A learns that lunging achieves control and possession of that part of the house. As dog owners, it is important we recognize those actions and correct them as they happen so it does not become an established behavior. Timing is everything! Don’t try to “fight it out” with your dog. Don’t allow possessive dogs to “sort it out” by themselves. 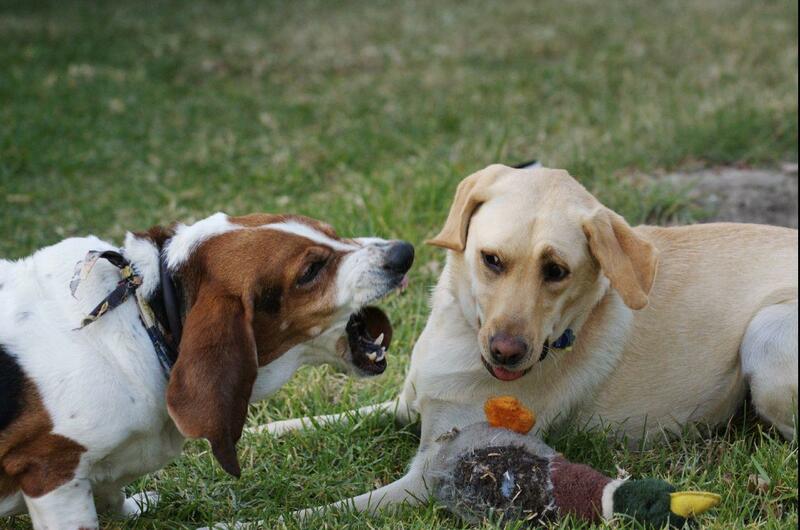 Resource guarding (possessive aggression) is a common behavior in dogs, yet very serious and should not be tolerated. It can potentially cause extreme reactivity and safety risks for both dogs and people. 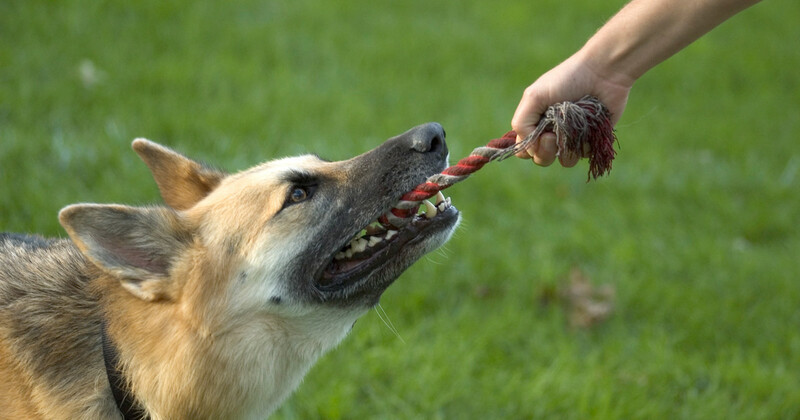 It is imperative to practice impulse control on dogs who demonstrate possessive aggression, and may even be necessary to seek professional help. 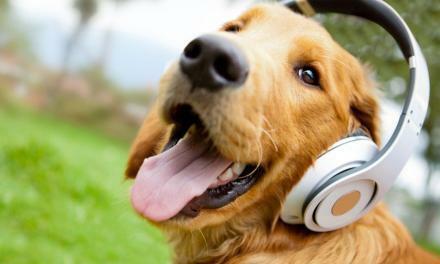 As owners, we want our dogs to understand that high-value objects are not earned through possessiveness, but rewarded for obedience and good behavior.